Slowly making progress! I'm not sure I've ever been this worried about a project working out... 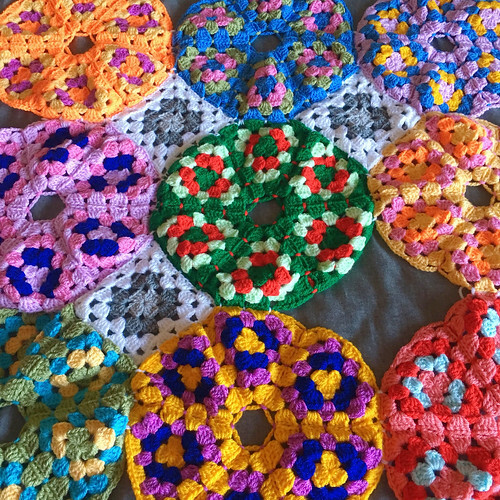 I'm afraid it's going to take a lot of blocking to flatten out the circles! I'm going to be very sad if I can't get the lumps out after A LOT of work on this baby! !